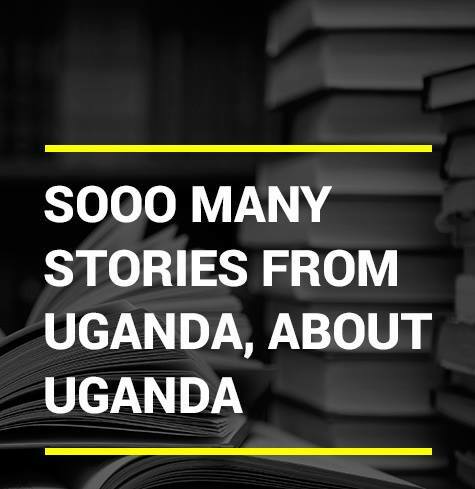 Welcome to Sooo Many Stories, the online home of short stories, poems, legends, myths, proverbs, opinions and book reviews written by Ugandans or about Uganda. We publish all genres of literature, as long as the story is great and well told. Poems are open-themed as well. All submissions must be in English save for proverbs, legends, myths, riddles and folktales that can be submitted in our local languages with their translations. Kindly make sure that basic spellings and grammatical rules are adhered to. All submissions must be previously unpublished. Exception will be given to reprints as long as the writer has the rights to it and the story is not accessible on another website. There are no word count restrictions and no deadlines – we are always open to submissions. All submissions should be sent to kaboozi@somanystories.ug. In the subject line, please indicate whether it is a short story, poem, book review, legend, myth, proverb, or opinion. Include a brief bio in the body of the email. We read all submissions and endeavour to respond within fourteen days. We ask that you do not send us more than one submission at a time, and that you wait to hear back about each pending submission before sending another. If you have not heard from us after fourteen days, please send a query letter. On paying for submissions: Unfortunately at this time Sooo Many Stories is unable to pay writers for accepted submissions. Copyright: All rights remain with the writer. For the non-Ugandan reader: Thank you so much for your interest in our stories. Because Sooo Many Stories is about promoting Ugandan literature, we cannot publish your short stories or poems. We can however publish your reviews of Ugandan books and opinions that benefit our writers and readers. I look forward to receiving all your stories and providing a platform for our tales to be told. pls am in ghana, can i send a story?